sometimes you received gifts but just don’t know what to do with them…they are in good quality not to throw away…so I remade it to something that really wearable…see the transformation! 1. Measure the length and trim away the excess part. 2. 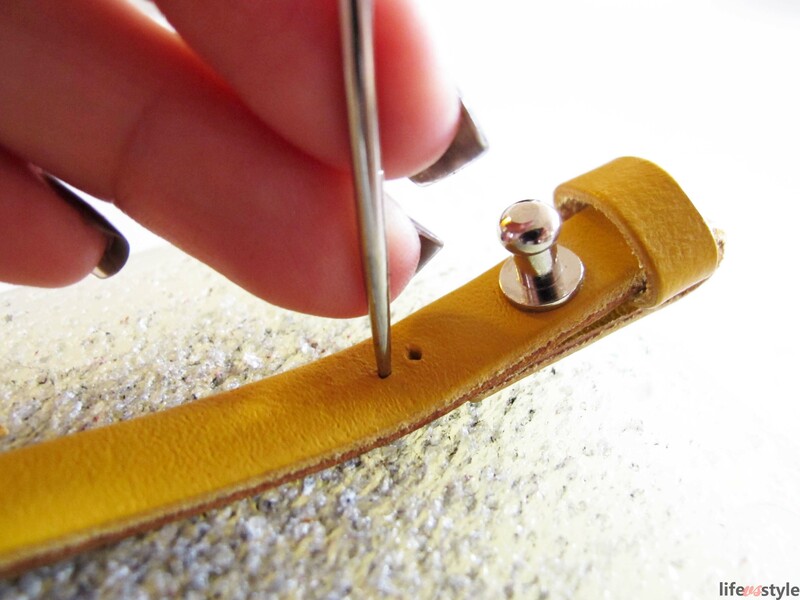 Use the excess leather to make a belt loop, then punch a small hole for the screw-back stud. 4. Fold the top part to hide the back of the stud, use some glue to fix them. 5. On the other side, punch buttonholes by hole punch and slotted screwdriver. 6. Punch 2 small holes for stationing the chain. 7. Hand-stitch the fishing line to join the leather and chain, a pair of tweezers does help a lot! 8. Punch holes in every 5-7 loops and stitch with fishing line, in order to join the leather and chain securely. Wow such a nice diy! Great idea! 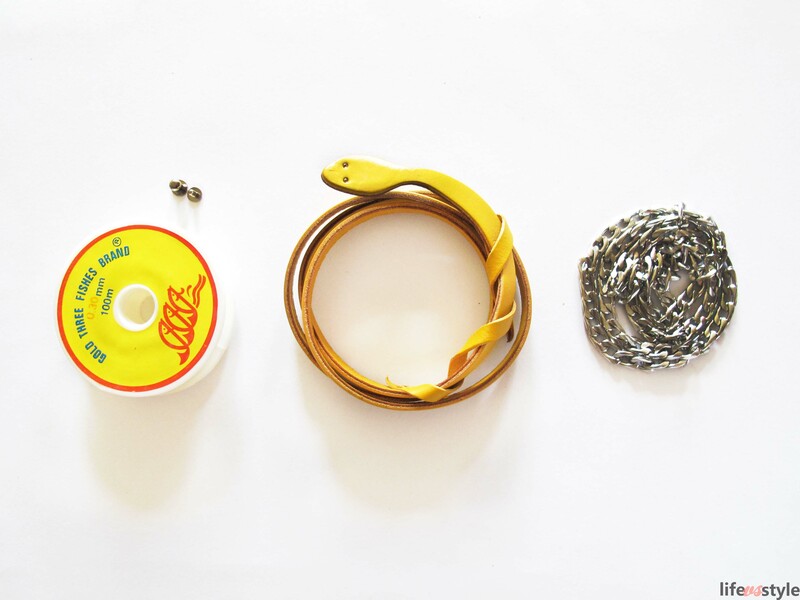 I love DIY jewellery! Great idea! I’m definitely trying it! Great idea. You are a genious!